“O Beautiful, for spacious skies, for amber waves…” In our age of cyber-bullying and aggressive patriotism remember those lyrics – or else! 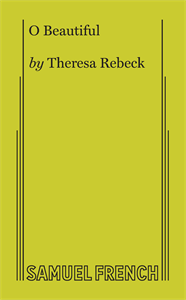 Theresa Rebeck pens a theatrically inventive mashup of contemporary American life and the history that got us to this politically polarized age. This fiercely funny story explores the lives of high school students, teachers, and their families as they cope in a world of real personal problems and extremist ideological rhetoric that gets so heated that Jesus, Saint Paul, Joan of Arc, John Adams, Patrick Henry, and Benjamin Franklin, among others, show up to weigh in and mix it up. Alternately sweet and fiery, and as topical as tonight’s newscast, O Beautiful lands the complex realities of our culture squarely on the stage deck in an electrifying blend of ancient characters, founding fathers, and your neighborhood high school.